Surveys show that the most common air conditioning unit is the window air conditioners. With the advanced technologies nowadays, window air conditioning unit is not noisy like the past. It is being improvised to be quiet and efficient. Some good window air conditioning units are so good that you could hardly even hear them operate. It is the cheapest alternative to cool your homes. Adding onto that, window air conditioning units are simple to install and remove. Some units also come with the electric heat option. 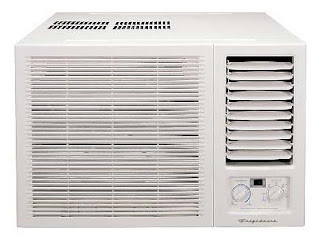 Window air conditioning units are usually installed in small cabinets. The biggest difference between window units and central air conditioner is that they do not have the cooling capacity ability. If you do not have so many rooms to cool, you can actually get a window air conditioner, this will be an excellent choice. On the other hand, if you want to cool your entire home, central air conditioner would be a better choice. Window aircon is easier to maintain. If you use it regularly, once a year chemical washing of your window unit is recommended. Next, window air conditioners have improved drastically in their appearance. For the older models, it does not blend in with the home surroundings. Today, window air conditioners look so much better, they look less like boxes. They blend well with your furniture and even come in lighter colours. A window air conditioner is also priced at an affordable price; it can be purchased in less than two hundred dollars. A light reminder, when purchasing a window air conditioner it is essential to purchase with a proper cooling capacity. Window units are easy to installed and also easy to maintain. You can see many household using window units and also wall mounted units. Aircon is becoming part of our life especially for people living here in Singapore. Always do your research before using any aircon installer. Find only reputable ones in the market. Paying abit more saves you much more in the long run. Maintaining your air conditioners is very important to prolong the life span and reduce any noise from it. For installing and servicing of aircon in Singapore, you may visit Aircon Singapore.